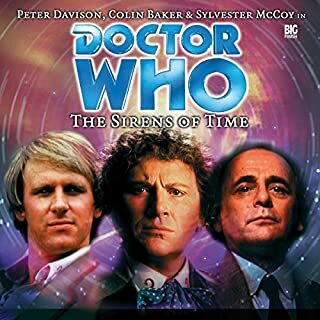 The Doctor and Peri find themselves in the Museum of Aural Antiquities, where every sound is stored for posterity - from the speeches of Visteen Krane to security service wiretaps and interrogation tapes. But they also find an intruder, mysteriously changed recordings, and a dead body. 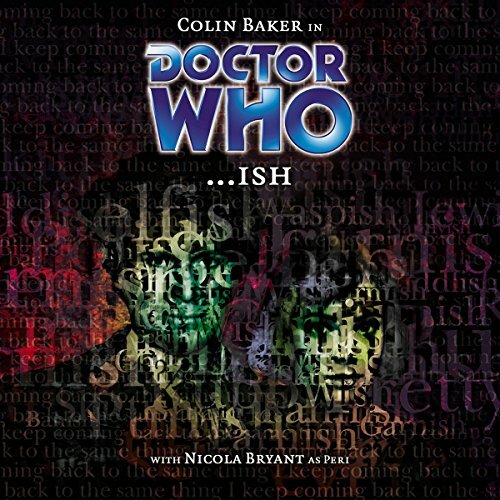 Before long the Doctor realises that there is more going on than a simple break-in or murder. How can he defeat a creature that is made of pure sound? Written by Justin Richards. Directed by Gary Russell. Sometimes being a time-travelling adventurer just isn't easy. For a start there's a temperamental TARDIS that lands a few thousand years off course in 17th-century Paris. 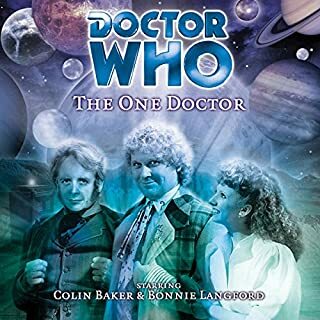 But why shouldn't the Doctor, Peri and their travelling guest, Erimem, take a look around the city on the morning of King Louis' annual State Ball? 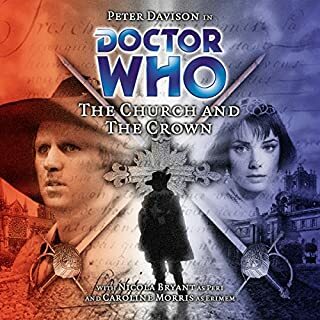 As Peri becomes embroiled in a plot to kill Queen Anne and smash the unity of the Church and the Crown, the Doctor finds himself duelling musketeers on the streets. The Clutch is a fleet in constant motion, ships jostling for position, in an endless migration between the stars. For the Galyari, forbidden by an ancient curse from settling on a world ever again, the Clutch is home. But the curse travels with them! The Sandman, a figure of myth and folklore, preys on the young and old alike. He lurks in the shadows, and it is death to look upon him. 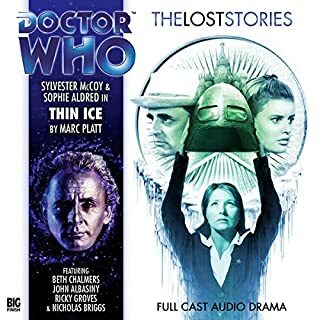 Tracking a nexus point in time, the Doctor meets Dr. Evelyn Smythe, a history lecturer whose own history seems to be rapidly vanishing. 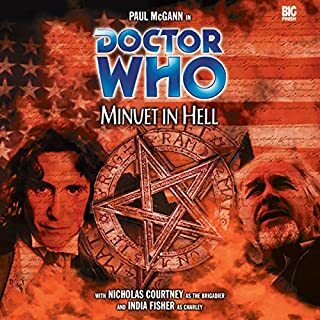 The Doctor must travel back to Tudor times to stabilise the nexus and save Evelyn's life. But there he meets the Queen of England and uses all his skills of diplomacy to avoid ending up on the headman's block.... Written by: Jacqueline Rayner. Directed by: Gary Russell. In the renovated docklands of South East London, on the bank of the river Thames, the doors of the Dusk are open for business. Bets are called, cards are dealt and roulette wheels spun. As fortunes are won and lost, an inhuman killer stalks the local avenues and alleyways - a killer with a taste for human flesh. Is there more to casino owner Reggie 'The Gent' Mead or is he just a common gangster? What secrets are hidden in the bowels of the Dusk? On a dark, frozen planet where no planet should be, in a doomed city with a sky of stone, the last denizens of Earth's long-lost twin will pay any price to survive, even if the laser scalpels cost them their love and hate and humanity. 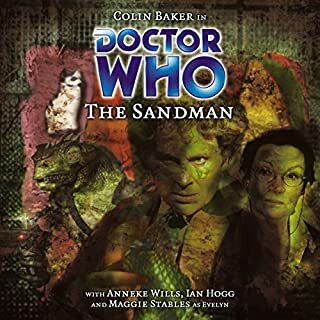 And in the mat-infested streets, around teatime, the Doctor and Nyssa unearth a black market in secondhand body parts and run the gauntlet of augmented police and their augmented horses. Worth a listen, but not at this price. Many years ago, on a dark and stormy night, the disfigured and enigmatic Dr John Smith invited his closest friends, Inspector Victor Schaeffer and his wife, Jacqueline, to a dinner to celebrate his birthday. A few hours later all the occupants in that house had been changed - ­some were dead, others mentally scarred forever by the events of that night. So, what happened to the distinguished dinner guests on that evening? Perhaps we'll never know. 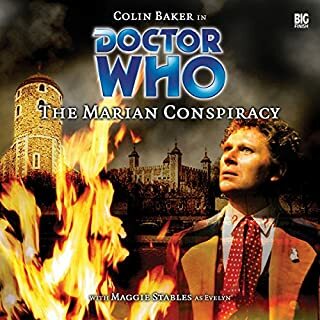 Gallifrey is in a state of crisis, facing destruction at the hands of an overwhelming enemy. 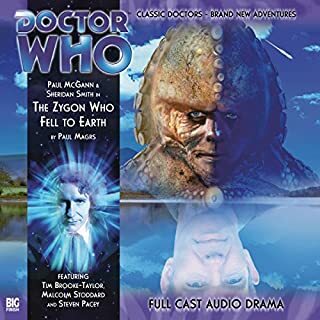 And the Doctor is involved in three different incarnations - each caught up in a deadly adventure, scattered across time and space. The web of time is threatened - and someone wants the Doctor dead. The three incarnations of the Doctor must join together to set time back on the right track - but in doing so, will they unleash a still greater threat? The Tardis lands in a forbidding castle in a time of religious upheaval. The old god has been overthrown, and all heretics are to be slaughtered. Obviously it isn't the sort of thing which would happen there every day - just every few years or so. 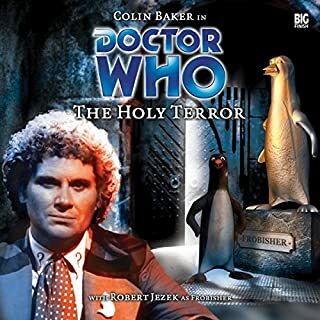 And when the Doctor and Frobisher are hailed as messengers from heaven, they quickly become vital to opposing factions in their struggle for power. But will they be merely the acolytes of the new order - or will they be made gods themselves? 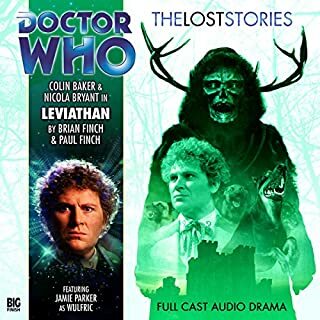 The Lost Stories: adventures that were originally written for the Doctor Who television series but never made. Now available to hear for the first time.... 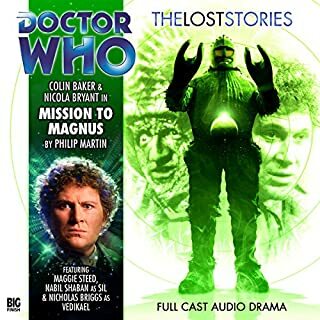 The Doctor and Peri face enemies at every turn on the planet Magnus. There's the Time Lord bully Anzor, who made the Doctor's life hell during his time at the Academy. There's also Rana Zandusia, the matriarchal ruler of the planet, who seeks to prise the secret of time travel from these alien visitors. Roanoke Island, 1590. 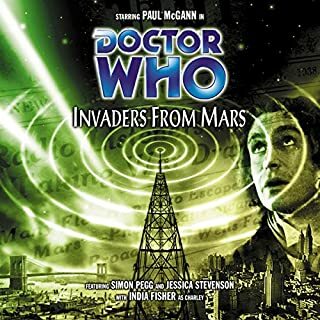 The TARDIS materializes in the past, and the Doctor's companions, Professor Litefoot and Henry Gordon Jago, find themselves prisoners of the natives in the New World. But there's something strange here - stranger than even the colonists, led by Englishman John White. What are the ghostly children? And who is the Old Man of Croaton? The travellers are about to discover the secret of the lost colony...and it may cost Jago's life. Hallowe'en 1938. A year after a mysterious meteorite lit up the skies of New York State, Martian invaders laid waste to the nation. At least, according to soon-to-be infamous Orson Welles they did. But what if some of the panicked listeners to the legendary War of the Worlds broadcast weren't just imagining things? 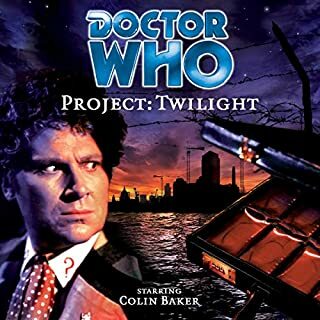 Attempting to deliver Charley to her rendezvous in Singapore in 1930, the Doctor overshoots a little, arriving in Manhattan just in time to find a dead private detective. All aboard, me hearties, for a rip-roaring tale of adventure on the high seas! 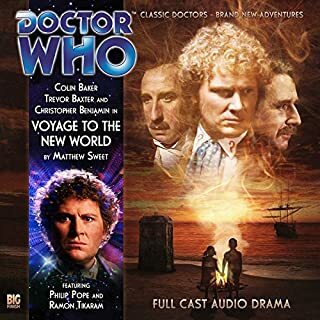 There'll be rum for all and sea shanties galore as we travel back in time to join the valiant crew of the good ship Sea Eagle, braving perils, pirates and a peripatetic old sea dog known only as the Doctor! 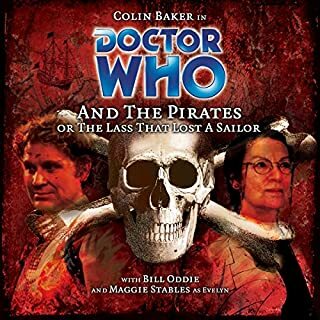 Gasp as our Gallifreyan buccaneer crosses swords with the fearsome Red Jasper, scourge of the seven seas and possessor of at least one wooden leg! The 21st century has just begun, and Malebolgia is enjoying its status as the newest state in America. After his successful involvement with Scotland's devolution, Brigadier Alistair Gordon Lethbridge-Stewart has been invited over to Malebolgia to offer some of his experiences and expertise. There he encounters the charismatic Brigham Elisha Dashwood III, an evangelical statesman running for Governor who may not be quite as clean-cut and wholesome as he makes out. When the evil Skelloids launch an attack upon the 17 worlds of the Generios system, its peace-loving inhabitants face total destruction. 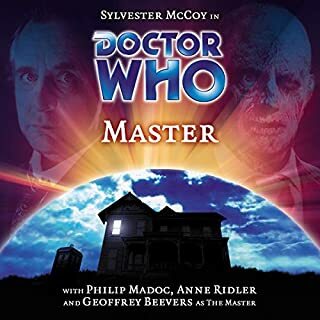 So it's fortunate that the famous traveller in time and space known only as the Doctor is in the area - and doubly lucky that with the help of his pretty young assistant, Sally-Anne, he manages to defeat the deadly creatures and save the day. But now it looks as though the Doctor's luck has run out. A conference of lexicographers: bromides in tweed. But the leading expert in the field is found dead by her own hand - and by her hologlyphic assistant. Is he responsible? Does the death fit any conventional definitions? Can the Doctor deduce who wrote the suicide note and why, exactly, it was riddled with spelling errors? Peri should help out, but there's a guy. Someone who loves language even more than the Doctor. Maybe, she realises, enough to kill for. Or perhaps just enough to ask her out to dinner. Unless, of course, he's already spoken for.... Is it madness? Seeking transcendence in the complete lexicon? Having the right words on the tip of your tongue but never quite knowing when to use them? If so, how? Written by Phil Pascoe and directed by Nicholas Briggs.